Disclosure: We will receive the same prize pack as a thank you for posting this giveaway. We ONLY post about products we believe in. Any opinions stated are honest and are those of the Shelly's Bits and Pieces family. PR company is responsible for prize fulfillment. Chefy is a huge Kevin James fan and he made sure that Kat and I went with him to see Paul Blart: Mall Cop. The movie was very funny! We were excited when we learned they were making a sequel, and can hardly believe it opens in a few more days! YES! 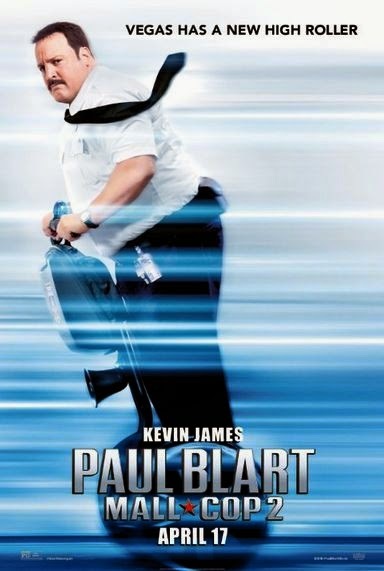 On April 17th, Kevin James brings Paul Blart back to the big screen! We plan to go see the movie opening weekend. It is a great way for our family to spend some time together. In Paul Blart: Mall Cop 2, the hero is finally getting a vacation: he’s being recognized for everything he’s done to keep the shoppers safe with an all-expenses-paid trip to a security convention in Las Vegas. Everyone is telling Blart to take it easy and get some R-and-R, but security never takes a holiday… and when Blart discovers a criminal threat to the hotel, America’s favorite security guard is ready to spring into action. To celebrate the arrival of this much awaited sequel, we are able to giveaway a very nice prize pack! 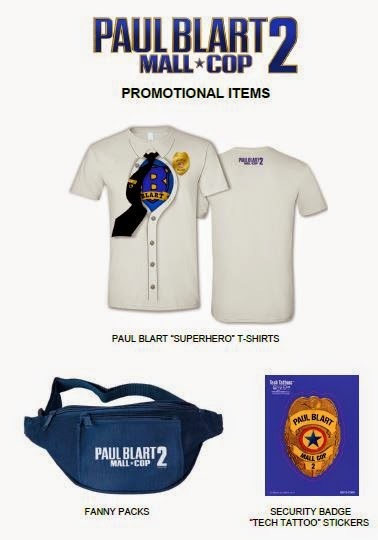 Five lucky Shelly's Bits & Pieces readers will win a movie inspired "Superhero" tee shirt, Security Badge Sticker, and a fanny pack similar to the one Paul Blart wears. Simply enter on the rafflecopter form below! I haven't even heard of this movie, but it sounds funny. I would go see it with my husband. I have seen the first one and I would love to see this one with my husband. I saw the first movie and thought it was really funny. I can't wait to see the second one. I have seen the first movie. I am a Kevin James fan. I would see the movie with my friend. I think this will be very funny. We saw the first one & my kids can't wait to see this one too. My son loves movies with physical comedy. We will probably see it as a family. I like his stuff. Blart, Zookeeper, even that MMA one he did last year. I do love Kevin James from when he was on King Of Queens. I would go see it with my husband. Yes, I saw the first movie. My granddaughter would love to see the 2nd movie as she saw the previews. I loved the first one! I would definitely see it with my best friends!